Are you smarter than a cupcake sign thief? By Lauryn on August 2nd, 2013 . Filed under: News . Question: When is it a good idea to post photos of yourself with a cupcake shaped sign on social media sites? Well it certainly is not right after you stole it, that’s for sure. When the deliciously themed sign for the Cake-ology bakery of Winnipeg, Manitoba was stolen early last week, it was only a matter of time before cupcake lovers wiped the frosting from their mouths and climbed out of the woodwork to track down the thief. 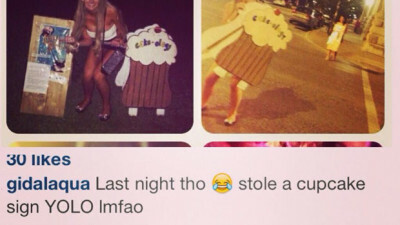 Of course, the job of tracking down the sign was made much easier when the photo-happy thief made the brilliant decision to post the pics of herself with the stolen sign on Instagram, complete with a light-hearted admission of her guilt. 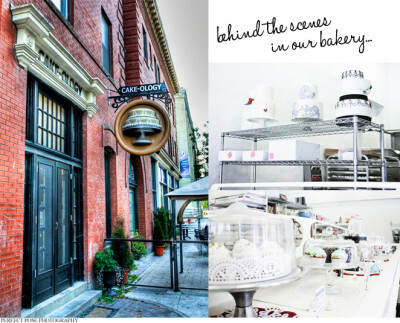 The owner of Cake-ology, Pamela Kirkpatrick, received an anonymous tip about the thief’s posting and responded with her own social media postings and a very real ultimatum regarding the possibility of legal action if the sign was not returned in a timely manner. It was an ultimatum that cupcake lovers across the world wide web garnished with their calls for the thief do the right thing. And where simple appeals to any sense of morality the thief could possess might fall short, a generous sprinkling of public ridicule goes a long way in the twitterverse. The sign has since been returned to its post and balance has been restored. But the incident has proved a warning for those unaware that its better not to cross cupcake lovers or their beloved bakers.